“If I could sit across the porch from God, I’d thank him for lending me you”. Here is a fun frame that plays “Love is a Many Splendored Thing”. 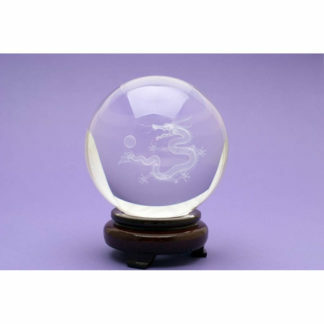 Has a small cylinder that spins just like a player piano so the sound is great. 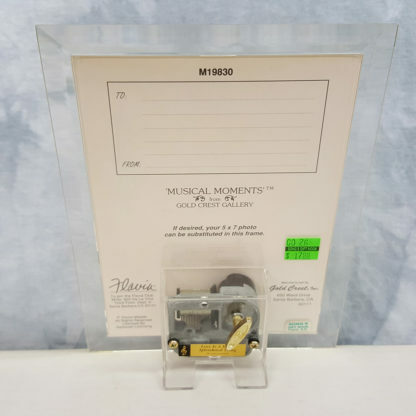 Flavia Musical Moments Porch Picture Frame. 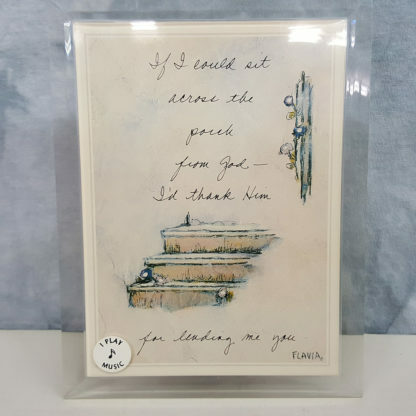 While has the words “If I could sit across the porch from God, I’d thank him for lending me you”. 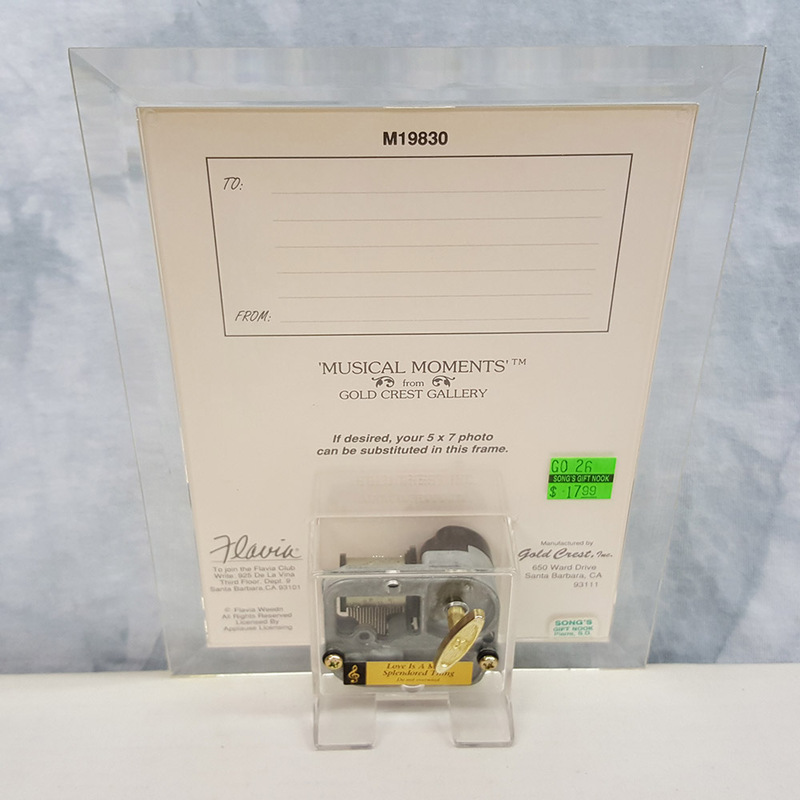 Here is a fun frame that plays “Love is a Many Splendored Thing” with a wind-up key on the rear of the frame. Has a small cylinder that spins just like a player piano so the sound is great. 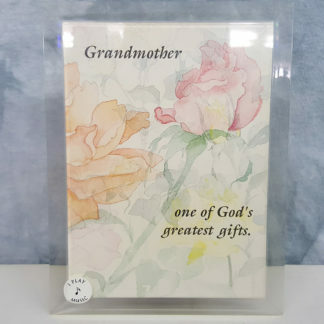 Frame is made of acrylic and holds a 5 x 7 photo so you can substitute the picture in it, with one of your own. Would make a great gift for inspiration! Manufactured by Gold Crest Inc.